The last album of this German Thrash legend is about 3 years old, and the release of this new one named „Decision Day“ happened some weeks ago. 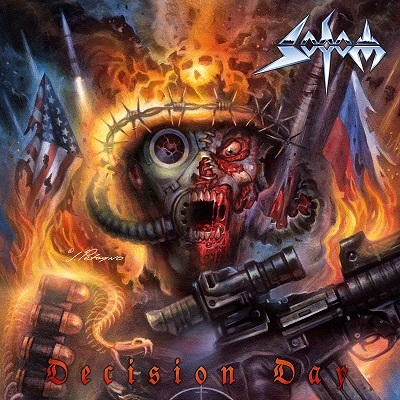 Still it is worth to check out Sodom, because Tom and his crew have quite surprised us with „In War and Pieces“. The question is whether Sodom manage to live up to this one and other legendary albums. In any case Decision Day is somewhat heavier than the predecessor, at the same time catchier, which the EP „Days of Retribution“ as a teaser had us guess. A special treat is the cover artwork by Joe Petagno, where a true metalhead might see a Motörhead-Warpig likeness. „In Retribution“ initiates the Thrash explosion – which makes Sodom so recognizable. Yet Tom’s vocals are even rougher on this album, in my opinion. 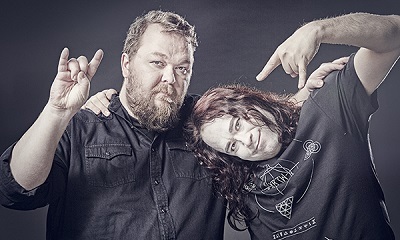 It’s Rolling Thunder indeed, paying tribute to Bolt Thrower, and a track that will be most memorable, at least for me: „Vaginal Born Evil“ ??? You might begin to wonder, but the topic is the age-old question whether humans are born evil or rather made evil by their environment. All in all a quite good album. Maybe not as great as „In War and Pieces“, but better than „Epitome of Torture“. It’s worth to add it to your collection!